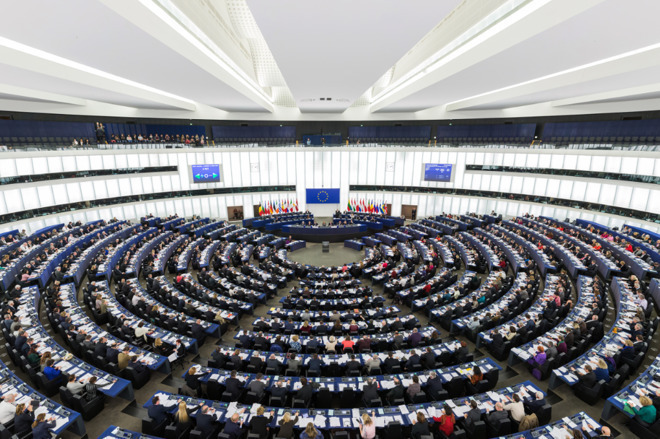 Countries in the European Union have approved a refresh of copyright law approved by the European Parliament in March, including the controversial “Article 13” change that may affect user-generated content, with member states now having to implement the directive within each country’s laws within the next two years. In a vote by EU member states, 19 voted in favor of the rules becoming law, with six voting against the changes, while three abstained. Under EU law, the directive previously approved by the European Parliament has to be transposed into regional versions of laws within 24 months, even in countries where that state voted against the rule changes. The copyright changes will place a greater emphasis on protecting owners and licensors of the content by forcing tech companies and distributors to offer increased protections to rights holders. Known as Article 13, the most controversial element makes firms put more efforts into policing the content on their services, including properly licensing copyrighted material, or be held liable for illegally shared content. The rules not only apply to firms based in the European Union, as it also will impact practically every company that has an online presence accessible within the EU, including those on other continents. The full rules apply to larger firms, but smaller companies and startups have relatively fewer requirements. It is thought firms like Google and Facebook will have to increase their copyright monitoring efforts with regard to user-generated content, to prevent those simply uploading copyrighted items. There are exceptions to the rules, protecting non-commercial purposes like Wikipedia and GitHub posts, as well as private cloud storage services such as Apple’s iCloud and Dropbox. Critics also believe the rules will effectively ban the creation and distribution of memes, but the European Parliament has already expressed the belief that “quotation, criticism, review, caricature, parody, or pastiche” will continue to be protected by existing mechanisms. A secondary section, “Article 11,” will require news aggregators to license anything larger than a “short extract” of a story that is shared with the audience. This effectively covers services like Google News, which offers headlines and short story snippets, as well as apps and services performing a similar task. The introduction of the changes, said to be modernizing EU rules on data from as far back as 2001, but the EU is not the only entity to try and change how copyright is dealt with online. The United States government made similar reform attempts in 2011 under the Stop Online Privacy Act (SOPA) and Protect IP Act (PIPA) House and Senate bills, preventing the sale of pirated or copyrighted goods online. The rules were criticized in many ways, including how it effectively applied to all websites in the world, cut off access to websites by DNS changes and potentially blocking all financial transfers to a site deemed to have infringed, even if it was only a small part of a larger overall online presence. App plus container does not multicloud make – what about the data?